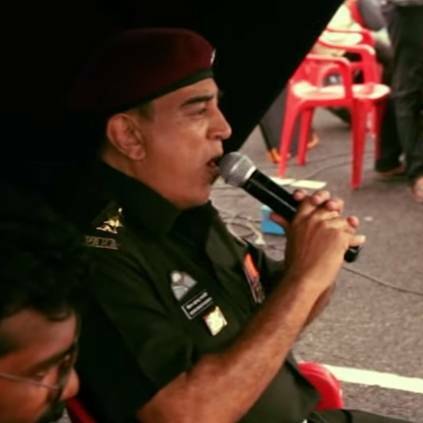 'SAADHI MADHAM' - NEW SONG FROM VISHWAROOPAM 2 OUT! Here is the lyrical video of a new song from Vishwaroopam 2. The song, titled Saadhi Madham, is composed by Ghibran while Kamal Haasan has penned the lyrics. The film will be releasing worldwide on August 10. This venture is bankrolled by Raaj Kamal Films International. Kamal Haasan is the writer and director for this exciting sequel, and also the male lead. Pooja Kumar and Andrea are the female leads. Vishwaroopam 2 will be releasing in Tamil, Telugu and Hindi. The trailer of the film was released a month ago and the post production is in full flow. The team is also promoting the film by releasing snippets, and single track releases. The expectation is high from the public for this flick. Latest Song From Vishwaroopam 2!